Crouse Health values diversity among its employees, patients, families and the communities we serve. Our mission calls us to provide the best in patient care. To do so, we need to strengthen our ability to serve our patients. At Crouse, we strive to be known in our community as an organization that treats all people without bias or judgment. To further enhance our own commitment to a diverse and inclusive culture, Crouse has also signed on as a participant of the American Hospital Association’s ‘Pledge for Equity‘ initiative, which aims to address disparities in care delivery and increase diversity in hospital leadership and governance. In simple terms, diversity is the combination of human differences we are born with, such as age, gender identity and ethnicity. 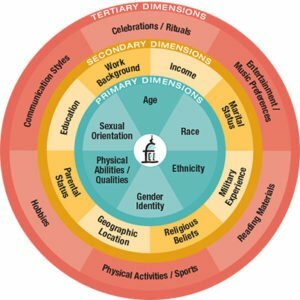 Diversity recognizes that individuals are unique in their educational backgrounds; religious affiliations, veteran status; work backgrounds; life experiences; communication styles; and lifestyles, among other characteristics. Derived from Workforce America! Managing Employee Diversity as a Vital Resource. Marilyn Loden, Judy B. Rosener, Irwin Professional Publishing, 1991. Inclusion puts the concept and practice of diversity into action by creating an environment of respect, involvement and connection. Inclusionadds a richness of ideas, backgrounds and perspetives to our culture and brings value and success to our organization. For more information about Crouse Health’s Diversity and Inclusion initiatives, contact Twiggy Eure, Diversity, Equity and Inclusion Coordinator, at 315-470-2762.